Steady pulsing electromagnetic energy. 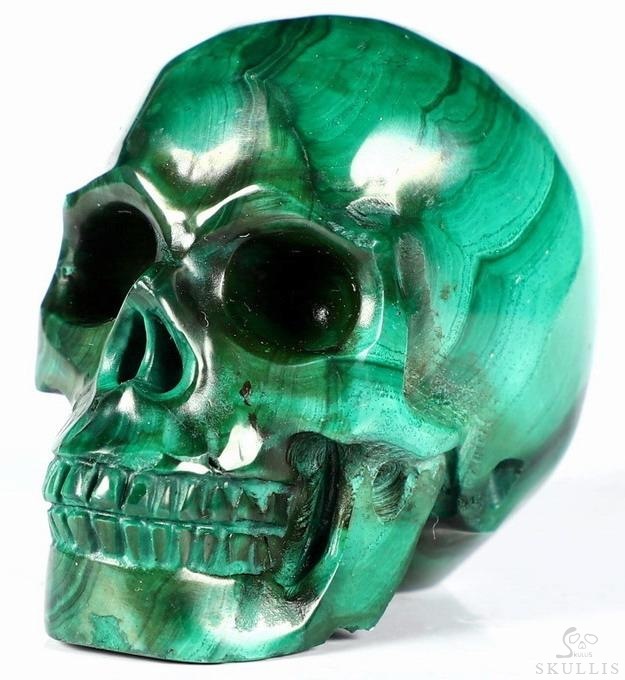 (High copper content) Malachite and azurite are the same chemical, practically, Copper Carbonate. The only difference is the ordering of the elements in the molecule. On brow: Stimulates physical and psychic vision, concentration. For heart and solar plexus centers: Stomach, liver, kidney stones, lungs, immune system, radiation, MS, circulation. 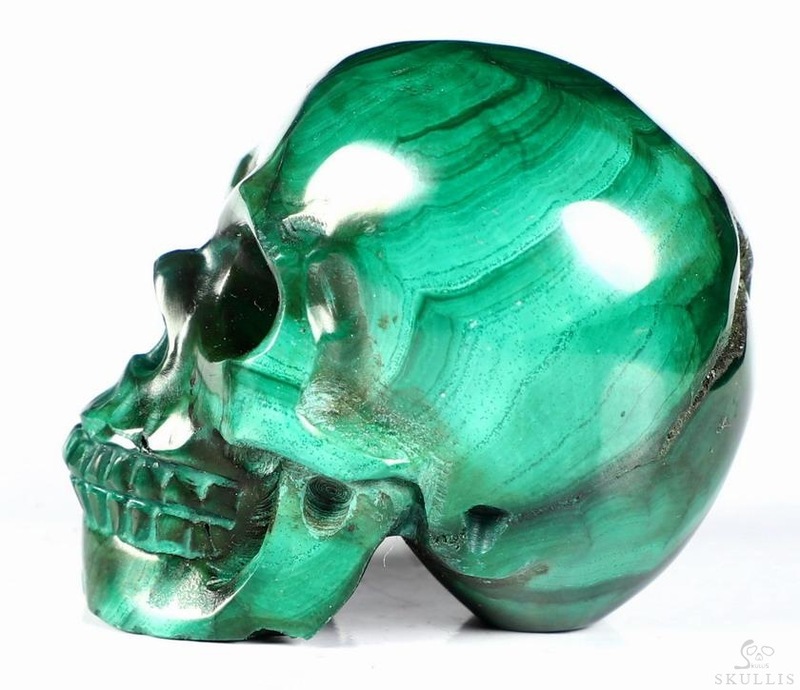 Powerful healer with azurite or chrysocolla for healing: Releases and draws out pain, inflammation, depression, anger; heals blocks. 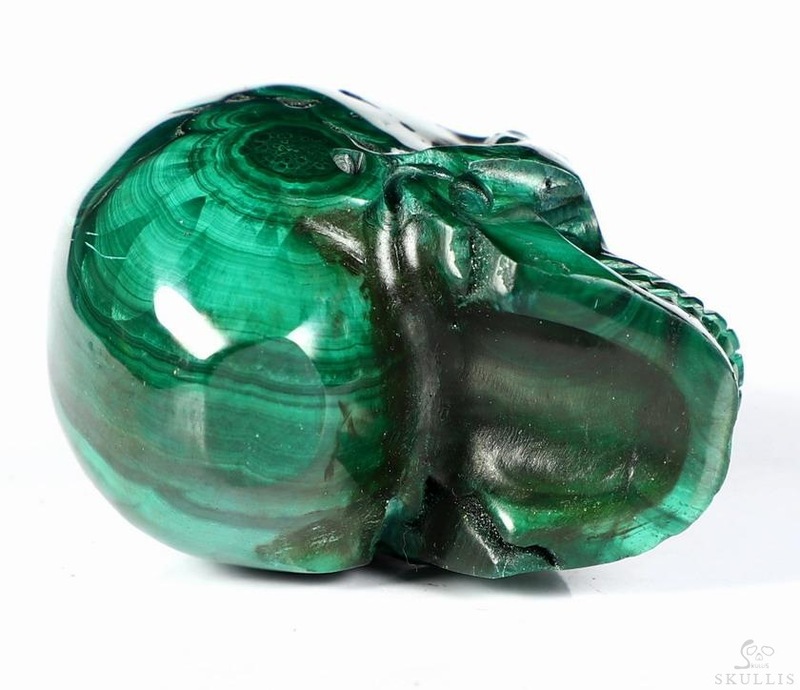 Protects well by powerfully cleaning the auric field, rapidly absorbing undesirable energies, including: computer, TV, and other radiation, etc. Place in the 4 corners of a room to cleanse carpet toxins/gases. Clean very frequently -- daily if possible! . 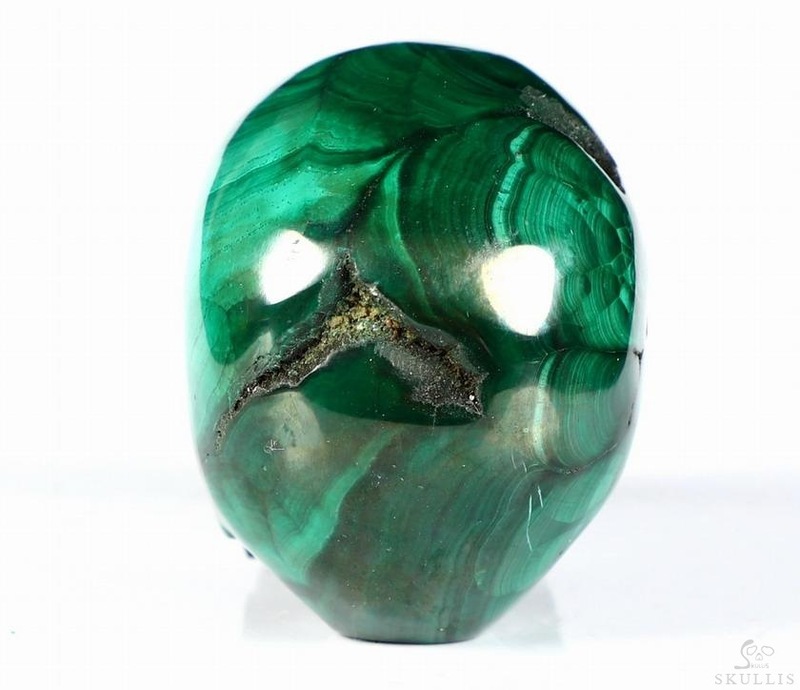 Often variegated and is one of the basic ores of Copper. Should be used with extreme care because it can amplify negative qualities. Caution must always be used when wearing it as jewelry. 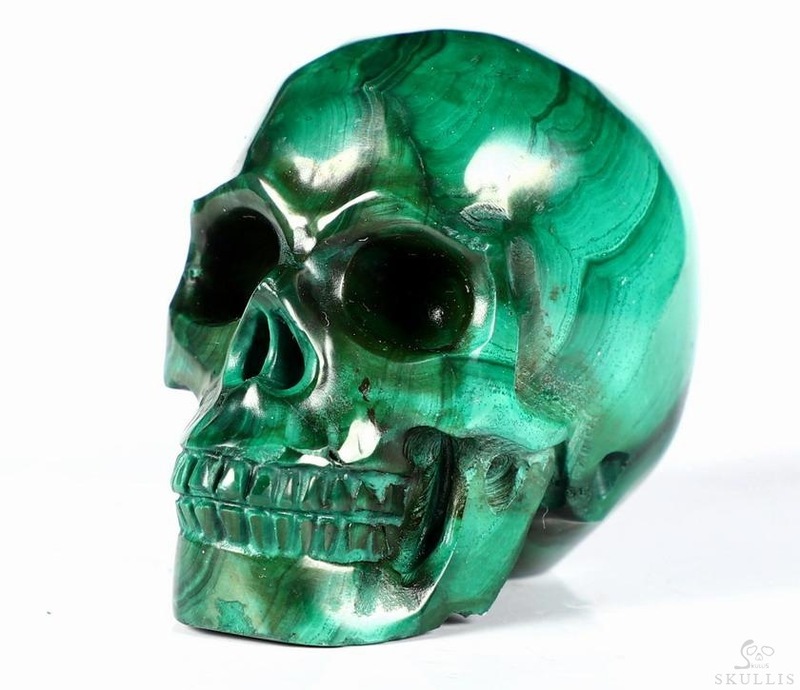 However, Malachite also magnifies the positive, and so it is useful if your mood is definitely on the upswing. It should not be used in healing without careful consideration of who is doing the healing. It is useful for relaxation and neurological disorders as well as tissue regeneration. 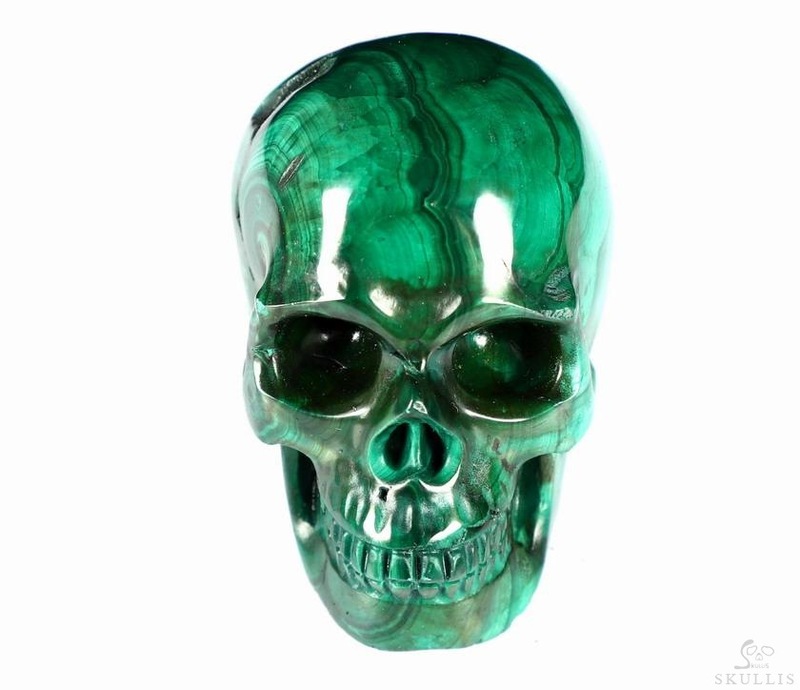 It is said to awaken healing qualities and useful in fighting mental illnesses. Said to stimulate the optic nerve, help the pancreas, spleen, parathyroid, and help dyslexia. 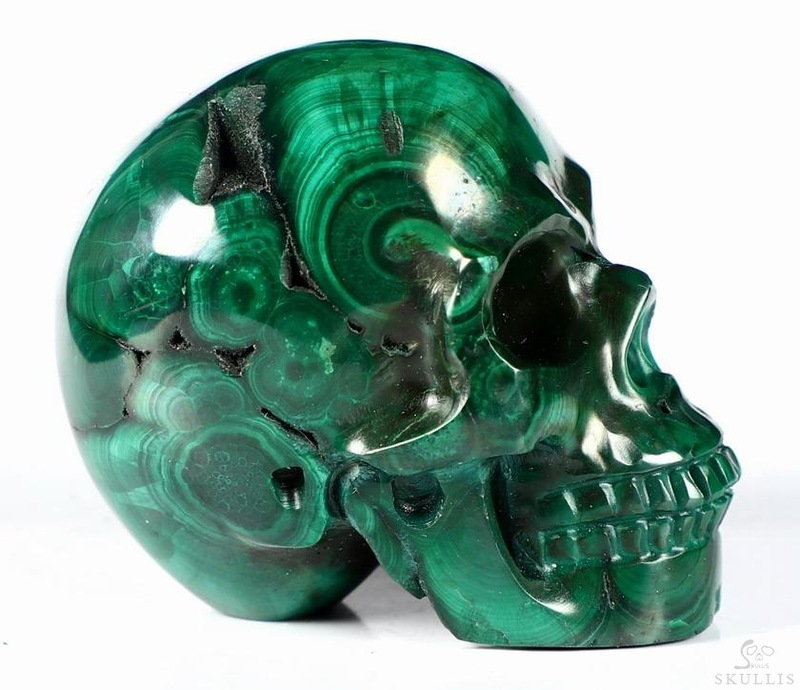 People living near nuclear power plants should keep pieces of Malachite in their homes, since Malachite may expel plutonium. 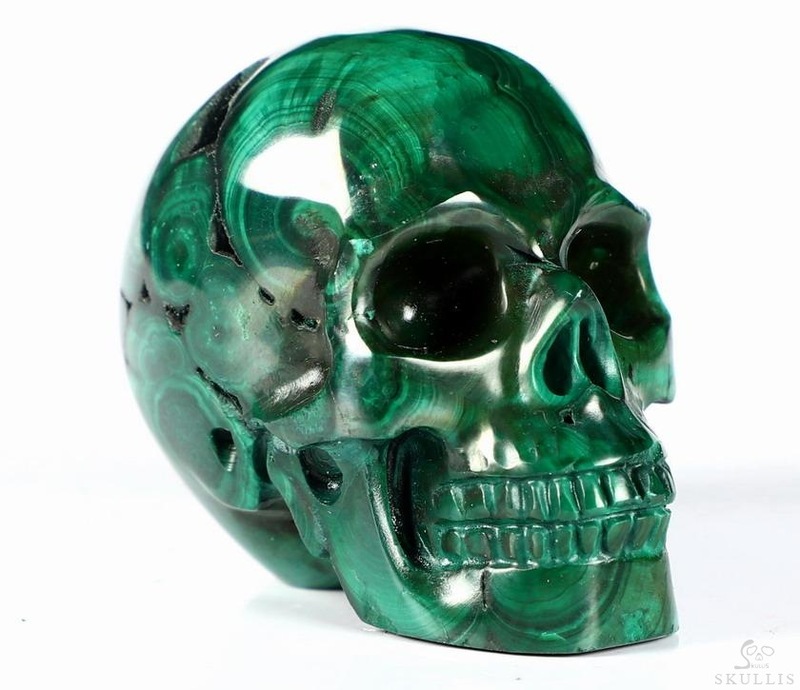 A warning: Malachite in raw form has dust particles that are highly toxic and their ingestion should be avoided.